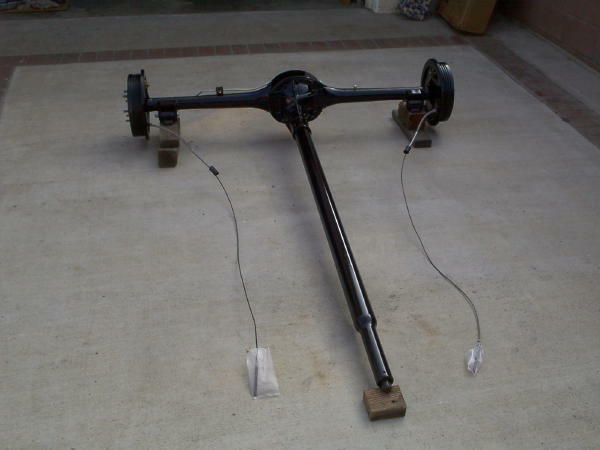 Above is the rear axle fully assembled with new stainless steel lines in place. 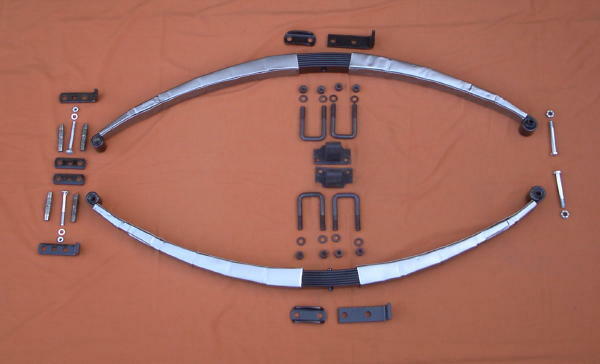 Below are the leaf springs and all the mounting hardware painted, plated and ready to go. 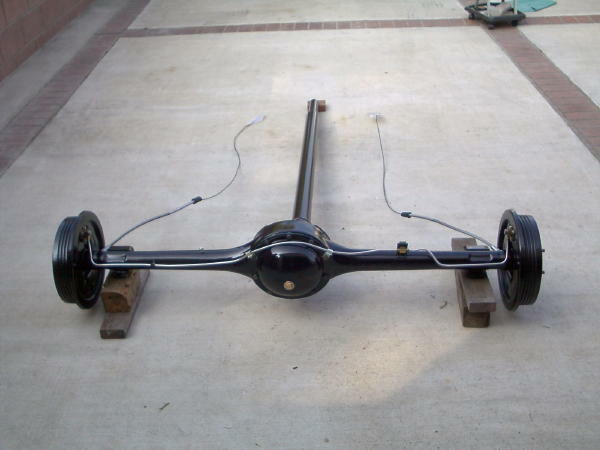 Also shown are the rear axle bumpers that get mounted to the frame.